Hilton Worldwide Holdings have announced the sale of the world-famous Waldorf Astoria hotel in New York for a staggering $1.95bn to Chinese investors, the largest single real estate purchase ever by Asian buyers. Beijing's Anbang Insurance Group have agreed to fork out for the 1,232-room tower on Park Avenue in the iconic Art Deco building that has become a significant landmark in the New York skyline. The $1.95bn price tag for Manhattan's signature properties is the highest price for a single existing hotel in the US and the most paid for a building by a Chinese buyer, according to commercial real estate brokerage CBRE Group. Chinese investment has increased exponentially as buyers seek stable investments outside their country, avoiding the pitfalls of an austere governmental approach to wealth. Kevin Mallory, global head of hotels for CBRE said: "We are seeing a diversification strategy being employed by insurance companies and others and it's also true when it comes to private Chinese investors. We've seen a lot of wealth generated there over the last decade and we see private investors diversifying their portfolio around the globe". 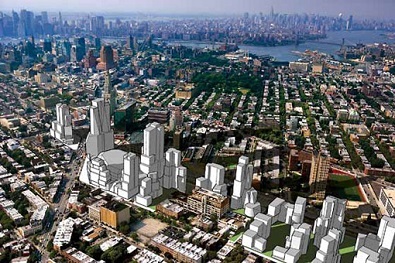 The Waldorf deal has topped previous high-profile New York acquisitions such as Shanghai-based Greenland Holding Group's purchase this year of a 70% interest in the Atlantic Yards project in Brooklyn. Towards the end of 2013, billionaire Guo Guangchang's Fosun International paid $725m for lower Manhattan's 1 Chase Manhattan Plaza, the former HQ of Chase Manhattan Bank. 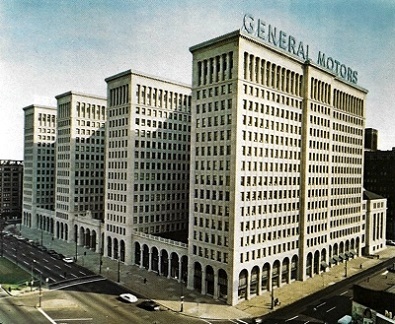 Also in 2013 a group including Zhang Xin, co-founder of Shanghai's Soho China took a 40% stake in midtown Manhattan's General Motors Building, one of New York's most valuable office towers, in a $1.4bn deal that was the largest Chinese real estate purchase before the imminent Waldorf sale. Factoring-in the Anbang purchase of the Waldorf, Chinese investors will have bought $2.7bn of New York real estate in 2014, topping 2013's $2.6bn, according to Real Capital. Over the last two years, the Chinese government has permitted insurance companies to allocate a portion of their funds into global real estate. With concerns about volatility in the domestic property market, New York and other major markets such as London and Paris have become safe havens for global investors. Experts liken the surge in Chinese overseas real estate investment to the Japanese wave of property purchases in the US and other countries during the 1980s, which included New York's Rockefeller Center and California's Pebble Beach golf course. Many Japanese buyers were forced to sell when the US fell into recession. A major renovation of the Waldorf is planned by its new owner which is believed to include converting some of the higher floors to condominiums. 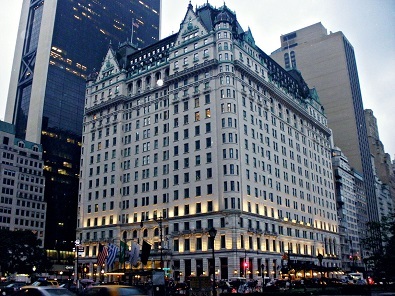 Another iconic New York hotel, the Plaza, was split between condominiums and hotel rooms when it re-opened in 2008 after a two-year restoration that cost more than $400m. "This is a tremendous amount of capital and there are very few global players who have access to this type of capital," said Kevin Mallory. "The Chinese appear to have it."